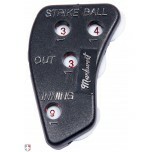 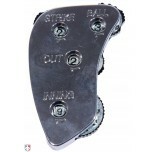 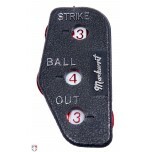 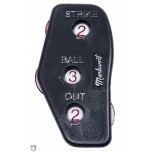 Umpire indicators (commonly mistakenly called a clicker or counter) for baseball and softball are essential to keep up with strikes, balls and outs (innings and score, too). 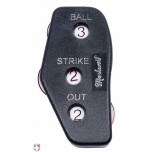 Read the umpire indicator buying guide for detailed assistance or filter below. 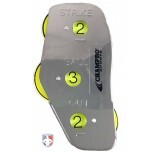 Indicator is larger than most but the numbers are easy to read and it has balls on top as it should. 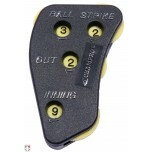 The clicker is lightweight and the dials are extremely smooth when compared to other clickers I have used in the past. 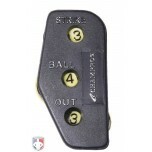 The numbers on the indicator are also very visible even on fields that are poorly lit. 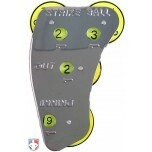 I'd rate it a 10 out of 10.